What Do Ken Griffey Jr. and Mother Nature Have in Common? …They both can’t make up their minds. And they’re both really good at what they do. 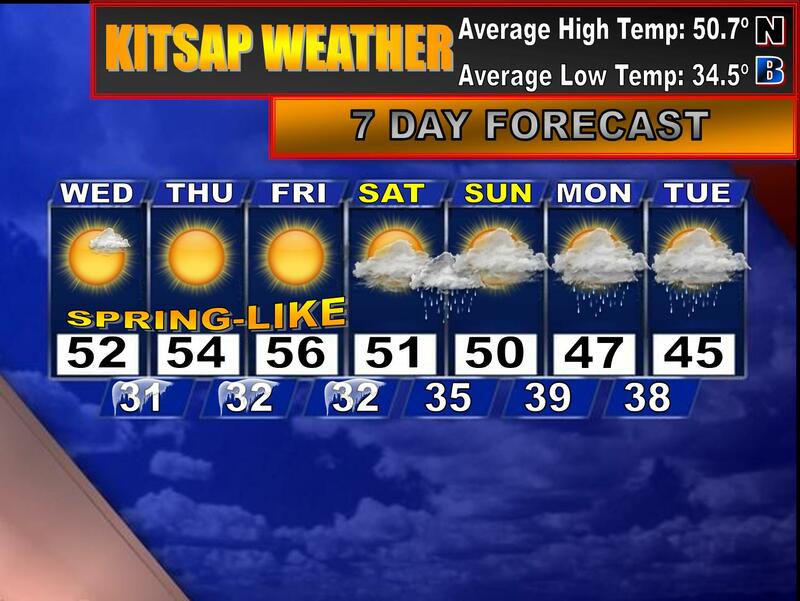 So, we are pretty much in a typical February lull: sunshine, mild temperatures, and cool nights. Over the past 10 years, we’ve had at least some period of extended sunshine and mild weather in February, and this month is no exception. If you talk to most weather geeks in the Northwest right now, they will tell you this pattern is absolutely miserable. I don’t mind this stretch of sunny and warm weather, but the extent of this winter ridge HAS been pretty darn persistent. Even the dry weather lovers would have to agree. When’s the next chance for a bit of rain? Well, the models have had a hard time making up their minds: the Mariners or the Braves—uh, sorry I mean Saturday or Sunday. Currently, the latest models have backed off on their call for a dry Saturday and are now introducing the chance for rain moving into the area Saturday evening continuing into Sunday morning before shutting off until Monday. Until then expect the next couple of days to be mild and sunny. How mild? Most likely the Braves, unfortunately—excuse me, I mean highs in the mid to upper 50s. Sorry…this Ken Griffey business is intense. I don’t normally care about sports in general, but it’d be nice to have our Griffey back in Seattle. Anyway, today was 51 degrees, it would not surprise me to reach near 60 on Friday. We’ll see how that turns out.